Become more outgoing and solidify your social and professional life using this unique subliminal mp3 album. Do you hate being labeled as shy and introverted? Do you secretly wish to be more like those fun and bubbly people with charismatic personality that always get all the attention? Do you want to be able to freely try new things, meet new people and become more social? Extroverts and people with good social skills get many more breaks in life than introverts and shy people. It's not just you who thinks (and sees) that - numerous researches have proved it; and not only that, they are much happier as they age. You enjoy your solitude, but you also see how people somehow don't notice you when you're at parties, how you are never the first to consider for promotions in your company, how all the cute guys or girls are being taken by those who are more social, more extrovert than you. You know that you have a lot to offer - but people don't know that unless you let them know. And you have that interior brake that keeps you from showing off. Perhaps you weren't taught how to, perhaps you think it's below you. But the truth is - if you want to get anywhere, you have to show your personality and to let others know how great and capable you are. Because... no one else will do it for you. Use subliminal messages to let go of those brakes! Right now your brain is wired in a certain way that prevents you from freely communicating with others. 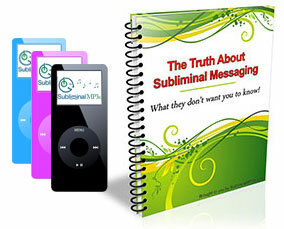 This subliminal mp3 have been designed to rewire that thinking pattern - it targets your subconscious mind with positive affirmations to help you to become more outgoing in all areas of your life, naturally. You will feel more comfortable in your own skin. As the suggestions get engraved deeper and deeper within your mind, you will begin to stand up and speak up for yourself more and more. You will stop being afraid of making a "social suicide" and you will feel how you're free to just be who you are, without questioning your words and your behavior. You will become more outgoing socially. Instead of worrying you will think of the positives of trying new things, of meeting new people, and of finding yourself in new situations. You will think of these things as an opportunity to grow and experience new things in life - your whole outlook on life and approach to social situations and life generally will change. The change won't happen overnight, but as you continue to listen and find yourself in situations that you would of previously shied away from you will see your behavior and reactions changing for the better. Download this album today and change the way you interact with the world - and observe how the reactions to you are changing as a result!